No water hook ups - however there is a potable water station and sani-dump on site. Power hook-ups limited to 15 amps. No weekly rates during Peak Season (July and August). Prices in effect for the 2019 season. All prices are before GST and subject to change without notice. 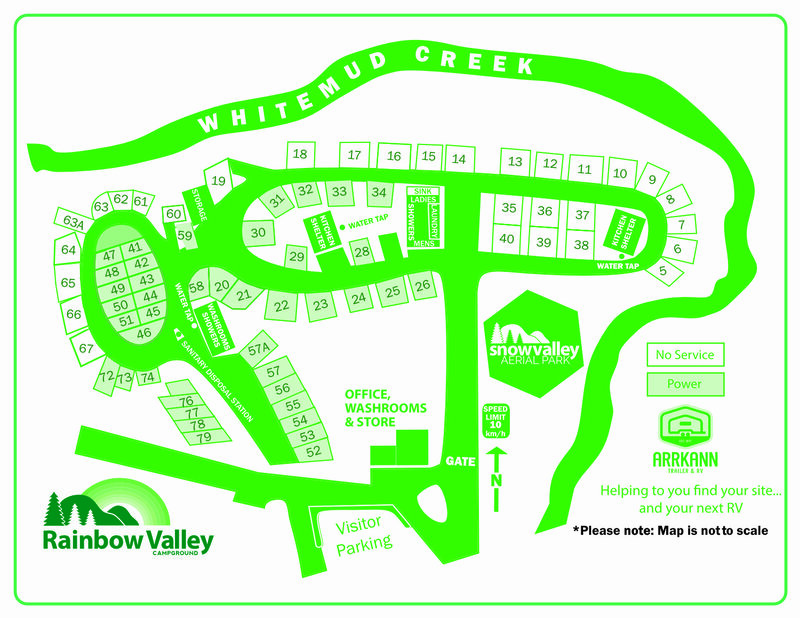 Registered guests of Rainbow Valley Campground get special pricing at Snow Valley Aerial Park! Some conditions apply. A mandatory $20 CASH deposit required for gate access card. Failure to return key within 24 hours of departure will result in forfeiture of deposit. PLEASE NOTE: A Bank Issued Credit Card is required for check-in and reservation. We do not accept "Pre-Paid" credit cards or VISA/MasterCard Debits for reservation. There are no late check-ins. You must be checked in within office hours. CANCELLATION: Guests may cancel up until 72 hours before check in. If guests fail to provide the 72-hour notice, you will be charged for one night and the rest of the reservation will be canceled. October Operational Hours subject to change without notice. 2019 Campground Office Hours *ALL Operational Hours subject to change without notice. 3 day minimum stay during long weekends (Friday, Saturday and Sunday). Liquor Ban will be in effect during long weekends. 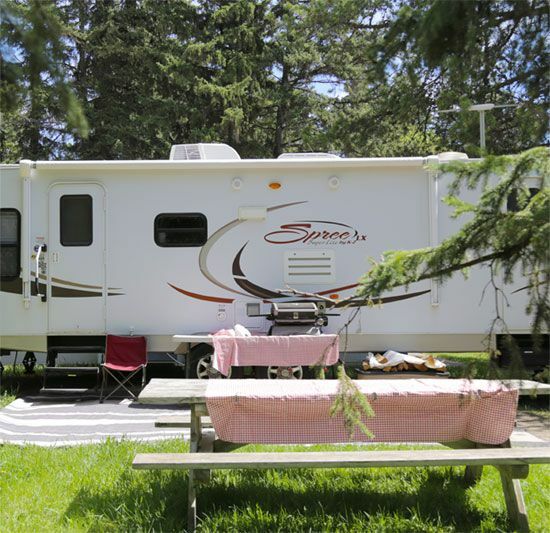 Rainbow Valley Campground may, with or without warning, refuse service to, or ask to leave the campground entirely, any person or persons abusing Campground staff, not adhering to the above guidelines, or in conflict with local bylaws.